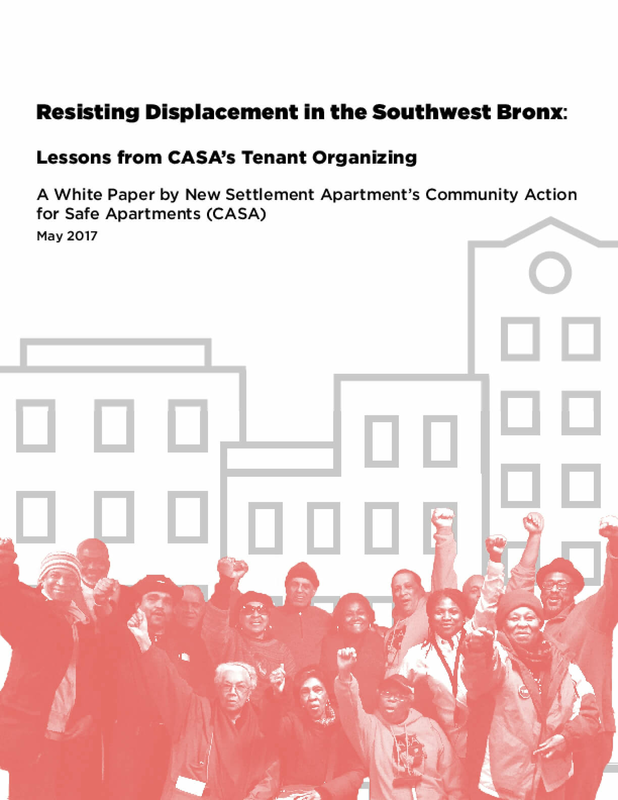 CASA is proud to present our new white paper, Resisting Displacement: Lessons from CASA's Tenant Organizing in the Southwest Bronx! In the last year, CASA has organized or provided technical assistance to over 90 buildings, which are home to more than 7,000 families. In the last year alone, over 4,000 tenants have actively engaged in CASA's work. Our new white paper shares lessons in tenant organizing, explores the forces of displacement that we are up against, and solutions for fighting displacement in the context of an impending rezoning. This is a critical moment for the Southwest Bronx. A potential rezoning is imminent, and could have devastating impacts on low-income tenants of color, their communities, and the state of affordable housing. CASA has drawn on our organizing experience, coalition work, previous research and the experiences of the tenants we work with to draft this white paper. Offer solutions that would protect tenants from displacement, allow them to remain in their homes, and preserve their communities.